This comprehensive, French Country inspired collection of quality bedroom furniture will bring a homely, rustic charm to any modern-day living space. Expertly hand crafted from reclaimed timbers, each piece has an attractive distressed finish to give it unique character. 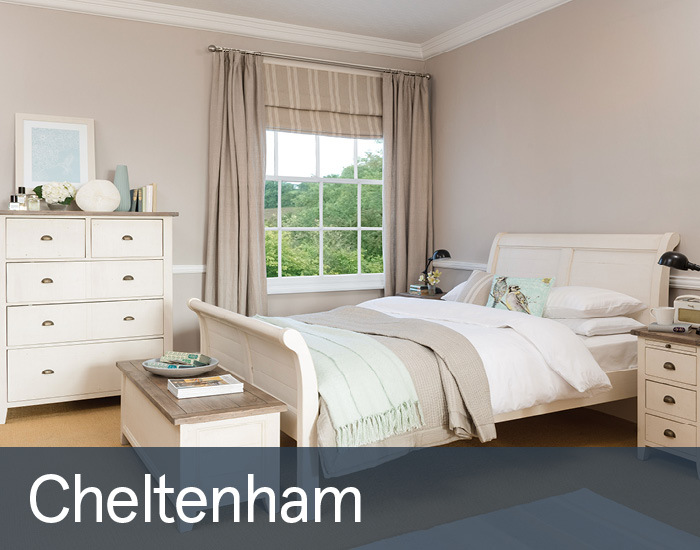 Cheltenham’s warm, ivory painted finish is complemented by smokey ash tops and aged bronze coloured handles add a vintage twist.